A 5 minute video without dialogue. It shows the power a person has to change the mood and lift the spirits of others, through laughter – though symbolic of other effects in general. It’s lovely and makes a great assembly. 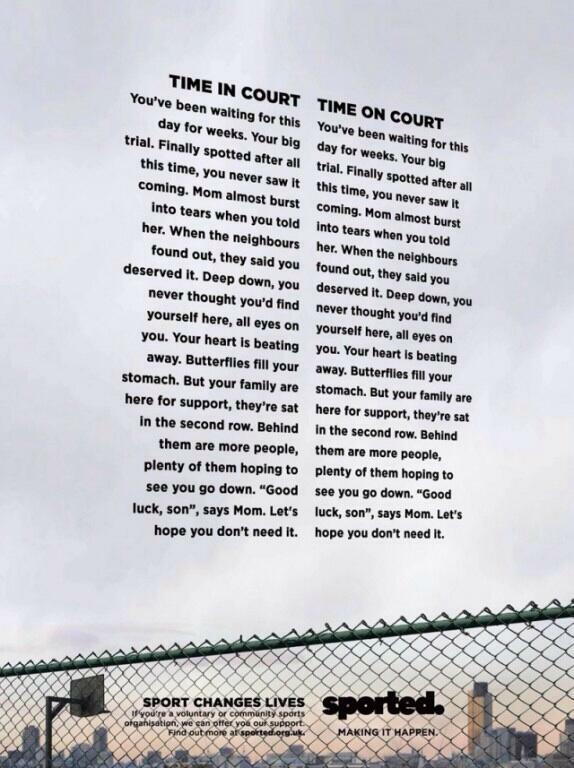 This is a bit of a tear-jerker. It gets me every single time. This is about sportsmanship, inclusion and the relative value of moments of success for different people. Never, Ever Give Up. Arthur’s Inspirational Transformation. This builds up nicely; a disabled veteran who thought he would never run again… but then started to do something about it with the help of a mentor. Leading to the final dash…. The science is fascinating but the message is also helpful – ie that we simply cannot trust our senses alone. We need to ask questions about what we perceive and what we can remember. This is very funny and the message in the last few seconds is worthwhile: We need to give more value to what we already have. Students love this…the interviews with people are real. I love this band and all of their one-take videos. This one is fun but also shows impressive dedication. It took over 60 attempts and several days to get right. This is a model of perseverance for artistic purposes. Check out all their other videos. From my colleague Tim Worrall @musotim. The same script is used forwards and backwards. Very clever and interesting. Good for promoting languages. We are what we share. A great take on the modern world…good for Sixth Form but also all ages. Awareness Test: Did you see the dancing bear? Works brilliantly if the audience hasn’t seen it before.. Younger students? It’s the original and best of these. Armstrong and Miller: RAF Pilots. This is a great intro to an assembly about appropriate speech codes. It’s very funny – and having trawled the full back catalogue, this is only one without any swearing! It helps to give the message – Do you want to sound ridiculous, with speech that is not compatible with the context. Powerpoint: The idea being that being ‘good’ or ‘worthy’ are difficult ideals. We are human and flawed. But we can certainly aim to live a life of worthy purpose, to do good in the world through our work and our relationships. Poverty and Education: Is there a moral imperative to succeed in education? Use this one slide from the Guardian as a visual to raise the issue of inequality and ask questions about solutions. Here’s what happened when I gave this assembly in 2016 – it created quite a stir. What does it mean to be British in 2015+? I love this assembly. The powerpoint provides a range of images of British culture – sport, comedy, newspapers, poverty, royalty – giving you a backdrop for talking about the nebulous idea of Britishness. I like to start this assembly playing the fabulous Morrissey song, Irish Blood, English Heart. This is one person’s view of their cultural and national identity, rejecting the monarchy and other aspects of England but being proud of being English and ‘free’ – “I will die with both of my hands untied”. I’ve updated the original 2009 version to include images of the Olympics, the politicians who will feature in the 2015 general election and some slides to give a context for a direct exploration of the current debate about what it means to be a modern British Muslim. Feel free to download and edit it. An assembly in one image, as seen on the underground. The story can be read out twice…and the message about context and privilege is strong. 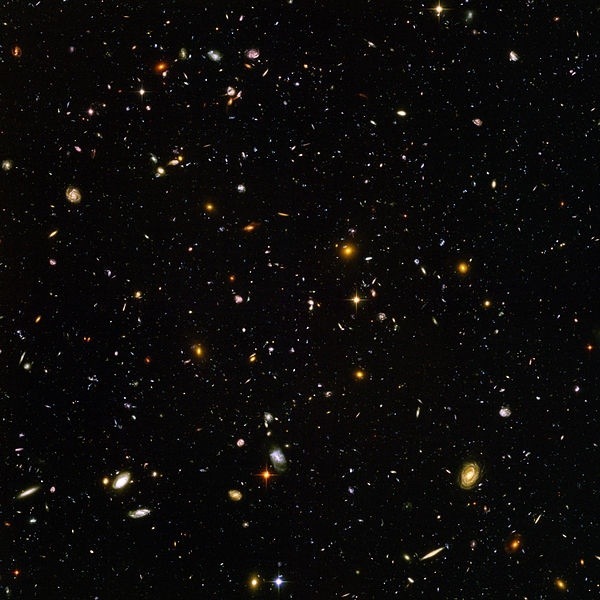 The Awe and Wonder in the Hubble Ultra Deep Field as featured in this Awe post. Awe: It’s in one image. This image is the size of a postage stamp at 75 feet. It contains 10,000 objects, each of which is a galaxy. The red-shift tells us that some of these objects are so far away, the light left them close to the very beginning of time. The scale of the universe and the value of our planet as the home to humanity is a message we can’t give too often. It is always powerful. There is a lot of symbolic value in this, even though the science is disputed by some. I like it a lot. An assembly about why rules matter and why it’s in everyone’s interests if we enforce them. An assembly about problem solving and self-believe. Can it be done? An assembly about needing to commit – and risk failure – in order to succeed. I have actually done this assembly with a personal demo – of rip-sticking around the assembly hall having finally plucked up the courage. Risky but worth it. This post links to some good material for a Christmas assembly. A simply formula for revising – well worth using this for an assembly. A set of superb images to discuss attitudes and study habits. Let me know if you use them and tell me how it goes. I’ve got lots more where these came from… for another post. Excellent exploration of hidden poverty in wealthy London in George’s wonderfully engaging powerful style. « Assembly Idea: Can you get a straw through a potato? What does that tell you? I remember the ‘merci’ one and the ‘time in/on court’ one from assembly. Great post. Such a vast universe we live in. In fact, if you have a bit of time, watch this series of videos put together by Michael from Vsauce. It puts into perspective the universe, and how small we really are. It’s about half an hour. If you can’t watch all of it in one sitting, watch it in bits. It’s a very, very fun thing to spend half an hour on. Thanks Mo. I love this. Really interesting…good for our science lessons next week! Yes. And I love the 1977 ‘powers of ten’ video as it reminds us that we are so small and yet, somewhat quite big as well. Reblogged this on Classroom Truths. Thanks this is brilliant. 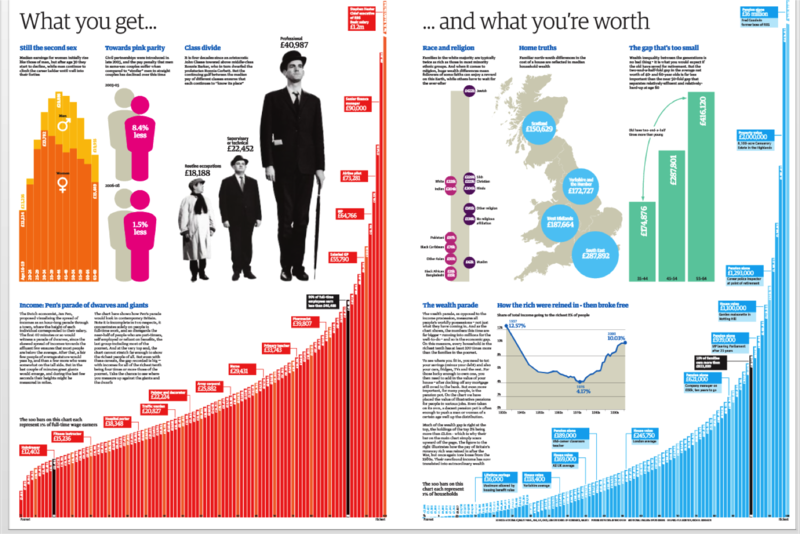 The graphic about inequality has given me inspiration for my session with the G&t pupils tomorrow. Glad you found it useful. Thanks. Kenrick spent 3 nights bivvying out at below -20*C in order to change the camera batteries every two hours. Even he is overwhelmed by the magnificence of the universe! Have really enjoyed looking through these ideas – especially love the diamond shreddies!!! Any fresh ideas for LGBT/diversity awareness? !